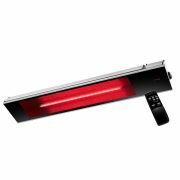 This radiant strip heater from Ventair will look great on your wall or ceiling. The heating element sits behind quality black schott glass, creating a warm glow. With an IP rating of 65, this heater is suitable for both indoor and outdoor installation. We also have a separate housing available to install this heater straight into the ceiling. 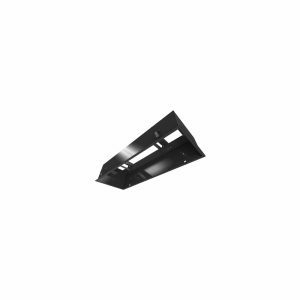 This flush mount housing gives you the option of installing your sunset heater into the ceiling. This is a great option for a neater finish to the installation. The housing can be used with any building grade ceiling materials. 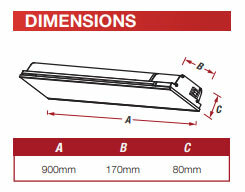 Installing the housing in the ceiling will require a cutout measuring 955mm x 215mm.